Is a Cryptocurrency investor and trader from Australia who had the initial success during rise of Bitcoin, now continuing to trade Altcoins and developing simple to follow instructions for beginners, based on fundamentals everyone should know to make a profit. 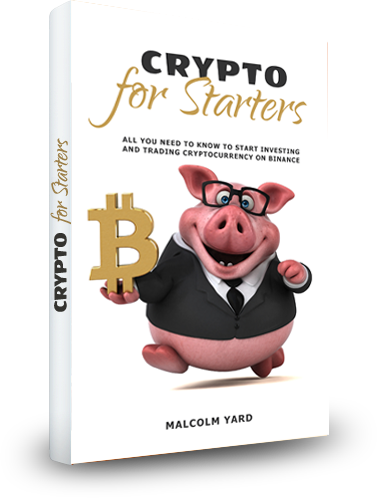 "Crypto for Starters: All You Need To Know To Start Investing and Trading Cryptocurrency on Binance" is Mal's first book teaching you about the basics you should know to start your crypto investments journey on the right foot. Sign up to my Newsletter and receive a PDF document serving as Appendix to the main Crypto for Starters Audiobook, containing all the charts, graphs and screenshots being referred to in the main narrative. the next eBook about Crypto Trading Tips is currently in the works and will be published some time in the early 2019. Newsletter subscribers will be the first ones notified about FREE promotions, and any upcoming giveaways. Are you human? 8 plus 1 equals? Best efforts are made to keep your information secure, and your email address won't be shared with any third parties.